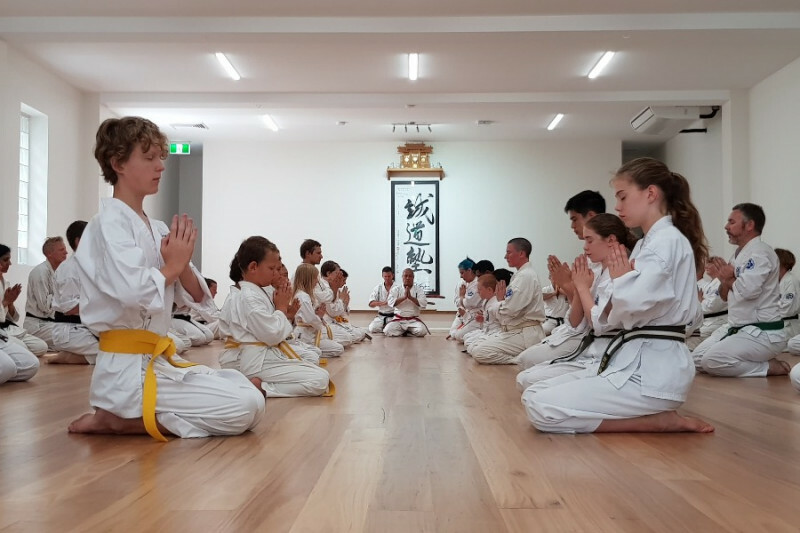 Since we started our dojo renovation project in December 2017, Seido students and family members near and far have asked whether they could make a donation towards some aspect of the renovation or to replace dojo equipment. Our senior students thought that contributions to replace our beautiful dojo mirrors or to purchase some new equipment would be most helpful. We had our dojo mirrors since we opened our first dojo in 1999 and they were moved from our location in Chippendale to Darlington in 2005. However, we couldn't save them at the start of the renovation and they were all destroyed! Since we opened our permanent dojo in 2005, we haven't been able to hang punching bags from the beams because they weren't strong enough. However, we're now able to hang eight (8) heavy punching bags from the main dojo beams! The cost for the mirrors (including installation), new punching bags and shields is approximately A$7,500. In return for your generous donation, we'll add your name to a special plaque in our reception area, and will send you a special commemorative t-shirt as a special thank-you! To our Seido friends and family all over the world, thank you very much for all of your donations so far. The builders are coming tomorrow to put up the framing for the new mirrors. Afterwards, Sensei Stuart and some senior students will tidy up the floor and skirting boards, all in preparation for the installation of the new mirrors hopefully next week. Your donations will help us keep the dojo renovation moving. We'll add you to a special plaque for the reception area, and we'll give all donors a special t-shirt soon after the renovations are done.